Switchblade would be the first to admit it; they're not trying to reinvent the wheel or do something clever or novel. Nope. 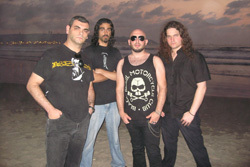 This Israeli band delivers basic old school heavy metal, essentially 'true metal' in the NWOBHM tradition. And they're pretty darn good at it, too. They've been cutting demos and releasing singles since 2005, many of which appear on Heavy Weapons. The songs are a good mixture of melodic heavy metal with a touch of speed metal as found with Endless War, Heavy Weapons or Euphoria. Federico Taich has a smooth melodic guitar style in his leads, which are varied and impressive throughout this album. But he's also capable of creating some crushing riffage as within the instrumental The Lost Kingdom and Curse of the Father, Sins of the Sons, which might remind some of early Dickinson era Iron Maiden. And some might say that vocalist has Lior Stein has some of his timbre as well, but the listener can judge that for himself. However, he can get screeching or piercing at times when he tries to hit higher notes. Besides the aforementioned songs, another one of note is Lost Lovers Unite; it's an anthem, of sorts, which begins with a steady pace and emphasis upon Stein's vocals, and then picks up the pace in the latter quarter for the guitar solo. Fundamentally, with Heavy Weapons, Switchblade accomplishes their goal of creating classic Eighties style, NWOBHM era, heavy metal. Easily recommended. 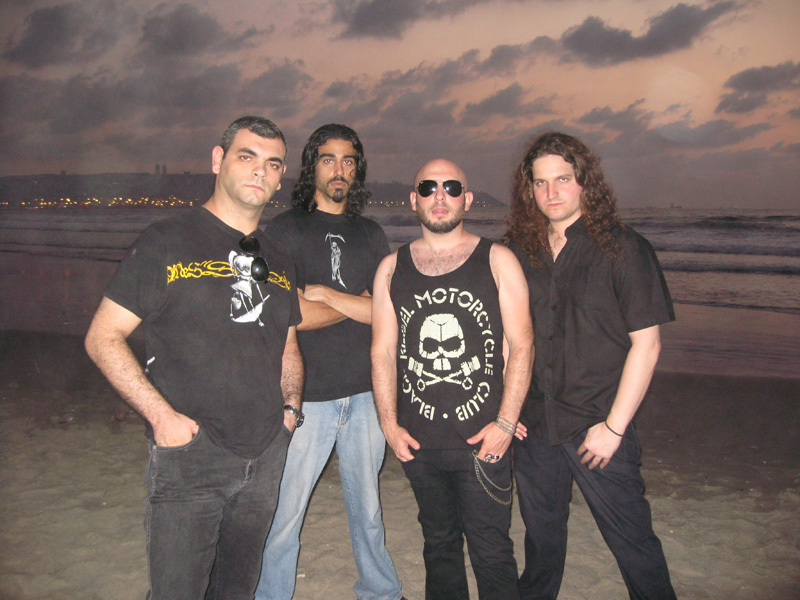 With Heavy Weapons, Switchblade accomplishes their goal of creating classic Eighties style, NWOBHM era, heavy metal.